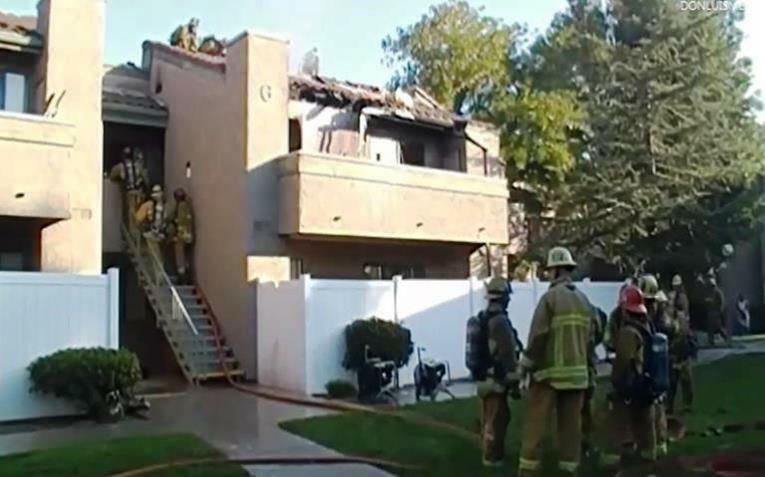 PALMDALE – Fire gutted a Palmdale apartment Tuesday morning and displaced three residents but caused no injuries, authorities said. The blaze was reported around 7 a.m. at the La Quinta Apartments at 38301 11th Street East in Palmdale, according to L.A. County Fire Department Battalion Chief Larry Tucker. The fire was caused by accidental means, Tucker said. Neighbors believe this grill sparked the blaze. Several residents at the complex were forced to evacuate their apartments in their pajamas, as firefighters worked on the roof to put out the fire. A few neighbors, who did not give their names, blamed the fire on a balcony barbecue and said the grill was too close to the wall. 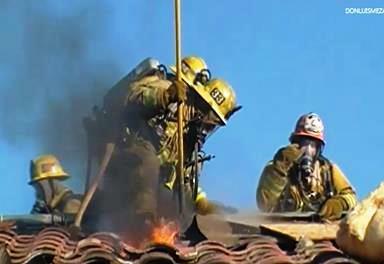 This theory was not confirmed by fire department officials. The apartment was declared a total loss, and its three adult residents are being assisted by the American Red Cross, Chief Tucker said. 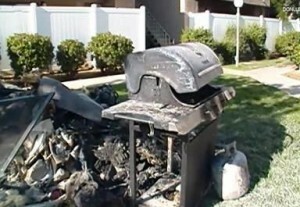 1 comment for "Fire destroys Palmdale apartment, deemed accidental"
WHO HAS A BARBEQUE AT 7 IN THE MORNING!